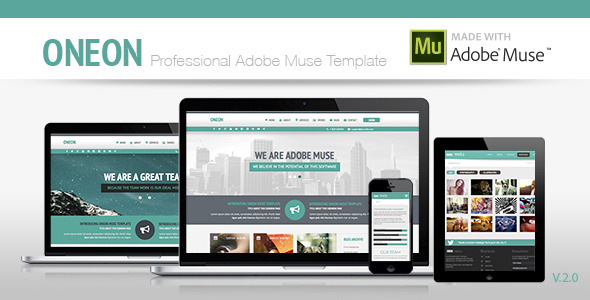 If you are looking for Adobe Muse templates for your website then you are at right place. 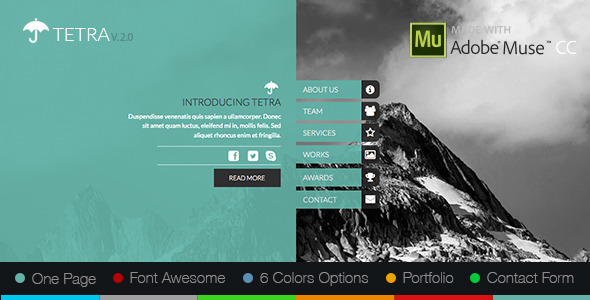 Here you can find the best adobe muse template. We collected best 12 adobe muse templates for the website administrators for there help. These themes have the best features which can be provided by the adobe muse. 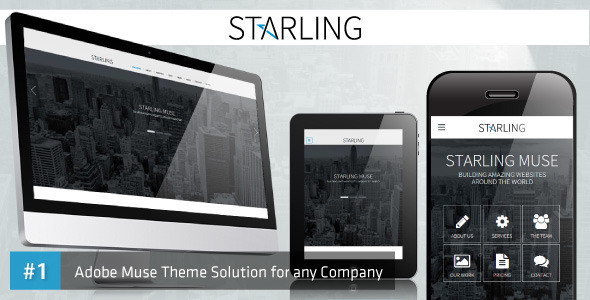 Hope this will help you to select the best theme for your website. 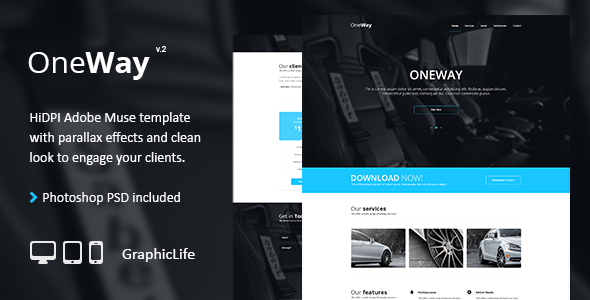 Designied by Skilltech (http://themeforest.net/user/Skilltech). 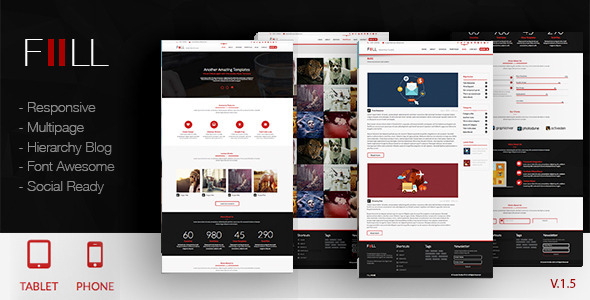 It is an professional Adobe Muse multipurpose theme. It has clean and modern design. It has all the latest features Muse can offer and it also has its own custom features. Designed by zacomic (http://themeforest.net/user/zacomic). Tetra is a clean design and it also has 6 colour options, 300+ vector icons, tool tip, light box, web kit fonts, social ready. Designed by Xstyler (http://themeforest.net/user/Xstyler). 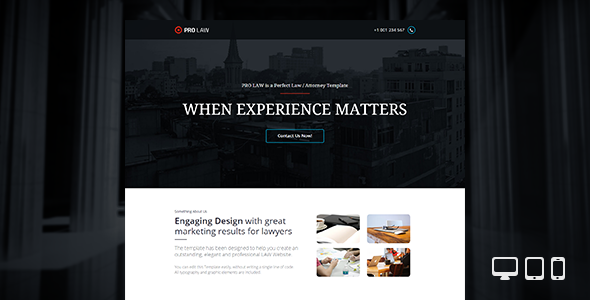 It is a Adobe Muse landing page template for Law, legal Office and Attorney. You can easily customize this theme because it is a highly customizable with simple, ultra clean and modern look. Designed by zacomic (http://themeforest.net/user/zacomic). This is second theme by zacomic and it also has features like 300+ vector icons, tool tip, light box, web kit fonts, multipage and social ready. Designed by DarwinThemes (http://themeforest.net/user/DarwinThemes). 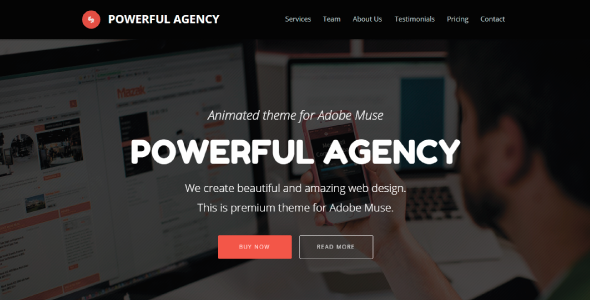 This theme is designed for business, corporate, agency, startup, service and freelancing websites by DarwinThemes and it is an Adobe Muse Template. Designed by zacomic (http://themeforest.net/user/zacomic). Some features of wide Muse template are alpha effect, edge animated banner mockup, has 300+ vector icons, facebook comments, facebook likes, follow twiter etc. 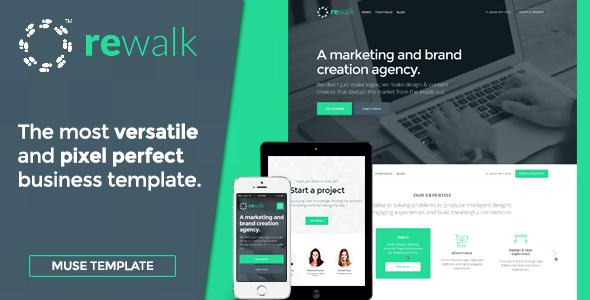 Designed by pixxli (http://themeforest.net/user/pixxli). 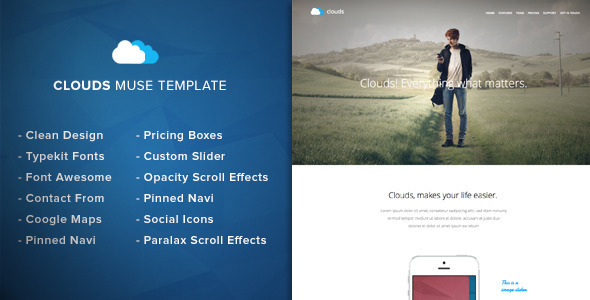 It is very clean and fresh adobe muse template and it is designed for any kind of app showcase or app landing page. You can even change text, colors and also replace images very easily. Designed by zacomic (http://themeforest.net/user/zacomic). Some features of Oneon adobe muse template are it has 300+ vector icons and tool tip, light box. Social ready etc. It has web kit fonts. Designed by zacomic (http://themeforest.net/user/zacomic). 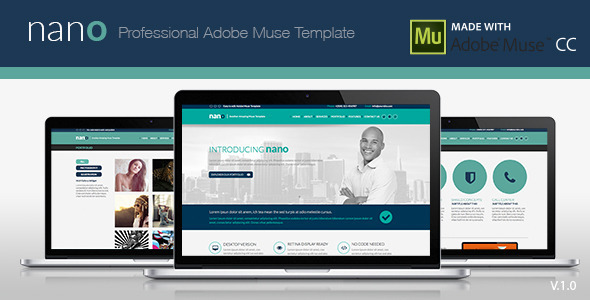 Some features of nano adobe muse template are it has 300+ vector icons and tool tip, light box. Social ready etc. It has web kit fonts. Designed by Xstyler (http://themeforest.net/user/Xstyler). 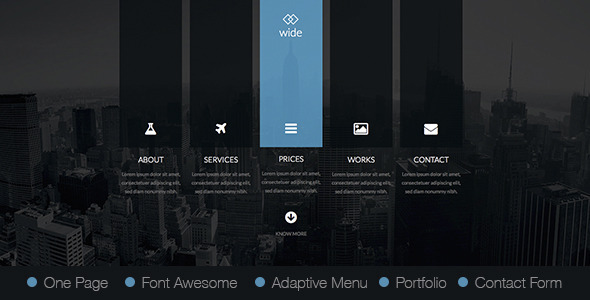 This theme is multipurpose one page adobe muse template. This template can be used for any kind of website and this template can be easily edited. Designed by Goldenfox (http://themeforest.net/user/Goldenfox). Phaethon theme is very sharp and clean adobe muse template. 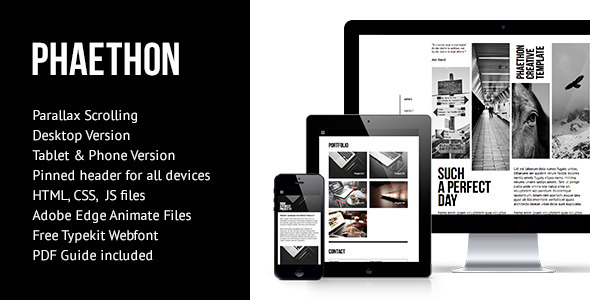 This theme is designed for creative, agency or personal portfolio pages.